Beaches. 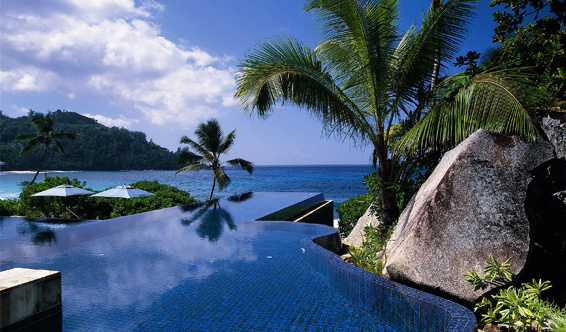 The list of top tourist attractions in Seychelles is never complete without the mere mention of its famous beaches. La Digue’s Anse Source D’Argent is one of the popular beaches in Seychelles, with its fine, pink sands and gigantic boulders with unusual shapes and patterns. But if you want something a little more underrated, taka a hike along the coast of Beau Vallon to Anse Major for a small deserted beach. Just don’t forget to bring your provisions, such as food, water and lots of sunblock. But be warned, the beach might not be suitable for a swim on certain times of the year, so don’t ignore warning signs when heading out to this isolated beach. Reserves and nature parks. While Seychelles is famous for its beaches, Its tropical flora and fauna should not be ignored. Seychelles is home to a few parks and reserves which provide homes to the country’s endemic plant and animal species. Valle de Mai, a UNESCO World Heritage Site, is home to some of the most amazing flora and fauna, including the largest seed in the world, coco de mer. Diving Paradise. Seychelles’ beaches aren’t only for getting some tan. These beaches are also home to a rich marine flora and fauna. So don’t forget to bring your snorkel with you when you take a trip to Seychelles. If you’re into scuba diving, the Aldabra Atoll, the world’s largest coral atoll, is the perfect place to go.